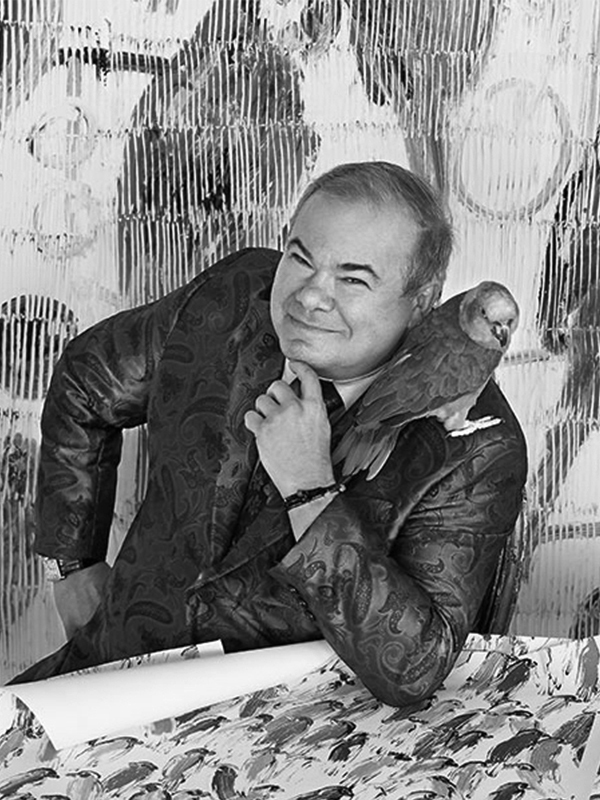 Colorful, playful, expressionistic—Hunt Slonem has a unique and identifiable aesthetic; the American painter, sculptor and decorator’s most iconic works feature repetitive imagery of rabbits, butterflies and birds. Slonem was raised in a creative family and frequently moved due to his father’s military career. Later studying abroad in Nicaragua and Mexico, the early influence of tropical landscapes can be seen in his subject matter. He received his BA in Painting and Art History from Tulane University in New Orleans and also studied at the Skowhegan School of Painting and Sculpture in Maine alongside Alex Katz and Alice Neel. Slonem’s first solo show occurred in 1977 at the Fischbach Gallery, New York. He has received several esteemed grants including those from the National Endowment for the Arts and the Cultural Counsel Foundation’s Artist Project. His work has been exhibited extensively around the world and is included in the collections of the National Gallery of Art in Washington, D.C., the Whitney Museum of American Art in New York, and the Boston Museum of Fine Arts, and the Solomon R. Guggenheim Museum, New York and the New Orleans Museum of Art among others. In addition to his success in the art market, he has taken on multiple passion projects restoring historic homes across the United States which keeps him traveling, but his studio remains in New York City.